The Comrades Marathon is part of the fabric of being South African and as a result anyone who wins the Comrades Marathon immediately becomes the most recognisable name in South African Running. When that name is Caroline Wöstmann the inspiration just continues to grow, as her story from a working mother who never ran to the winner of the worlds ultimate human race, is a journey of hope that will make you want to lace up and tackle your own challenges. 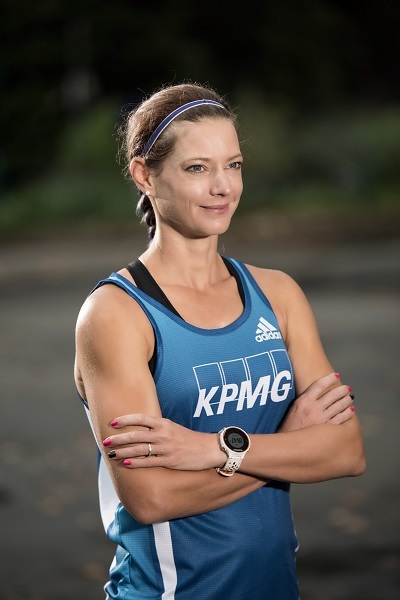 A couple of weeks ago it was announced that Caroline had signed for the KPMG Running Club and I took the opportunity presented to chat to Caroline about all things running. Jabu: Caroline its great to chat to you, lets start at the beginning of this story, just how special was it to win the Comrades Marathon? Caroline: Words cannot describe how special it was. It’s like having this crazy ambition that you think is probably impossible, but you decide to work really hard to see how close you can get to it. You think about it every day. It drives you to give the best of yourself every day and suddenly its no longer just a crazy ambition, its a reality and you realise that it was your own dedication and commitment that made it real. Jabu: We can only imagine. Your story is well known from not running 7 years ago to being a sensation in South Africa now, how do you and your family deal with the extra attention that comes with being a household name? Caroline: It was an adjustment. We did not anticipate the attention but when it came along we decided to embrace it and appreciate the love and support we have received from so many. Jabu: You speak very highly of your family, how important are they to your training programme? Caroline: To me family comes first. If they feel that my competitive running is interfering with our quality of life I would happily give it up for them. They are however incredibly supportive and encourage and motivate me every day to give my best. Jabu: And now that you have won the Comrades and the Two Oceans, do you find yourself under extra pressure now as the public expect you to win every race you run? Caroline: Because the desire to run well always came from within I don’t feel external pressure to perform well. I am also fortunate to not have to rely on my running financially so I am doing it for myself rather then anyone else. Jabu: You were fortunate enough to be given an opportunity to run at the New York Marathon in 2015, from an organisation point of view, what did you find admiring about the New York Marathon? Caroline: The level of commitment from not only the race organisers but from the City as a whole was remarkable. From the police force, to the city council, to the residents, everyone was involved and enthusiastic about the success of the marathon. Jabu: With all eyes pointing towards Rio this year and the Olympics in the mind, would you consider focussing on marathon distance to qualify for the Olympics in the future? 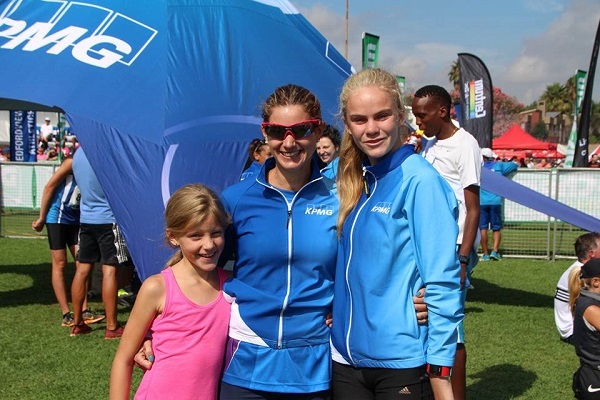 Caroline: I never considered myself to be good enough to compete at an elite marathon level until my coach convinced me that I might have some hidden talent after my performance at Comrades. At that stage adequate preparation for a marathon with the goal of the 2016 Olympics was not possible. Over the next couple of years I would like to see how my running progresses and if I do have a chance to go to the 2020 Olympics I will make that training my first priority. Jabu: Okay, you have signed for KPMG which is fantastic and your speak about how important it was the work that they do with Vorentoe Academy, how big a factor was that in swaying your decision? Jabu: How have you found the welcome from the team and staff of KPMG? Caroline: KPMG is an amazing organisation full of enthusiastic and dedicated personnel. I have been welcomed with open arms and am excited to become a part of this team. Jabu: Who have been the big players in your development to world class runner? Caroline: There are so many I cannot list them all. The main ones would be my husband because where most people would have laughed at my crazy goals he always encouraged me to chase them. My role models (Athletes) including the Kalmer sisters (Rene and Christine), Irvette van Zyl, Ellie Greenwood, Devon Crosby-helms and many others. My Biokineticist Candice Attree who worked tirelessly to fix my many mechanical imbalances so that I could handle the training workload I needed to become competitive.My coach Lindsey Parry.The High Performance Centre at Tuks offering all the medical and sports services I could possibly need. Jabu: Having achieved so much in 2015, what are your goals for 2016 in running? Jabu: Where can our readers find out more about your inspirational story?